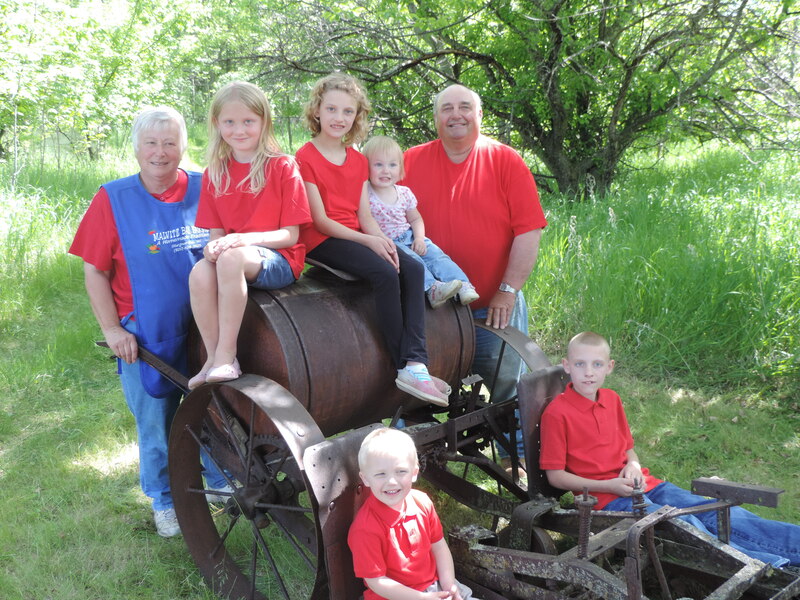 Fred, Mary and Grandkids with old time planter that is still used in the operation today. 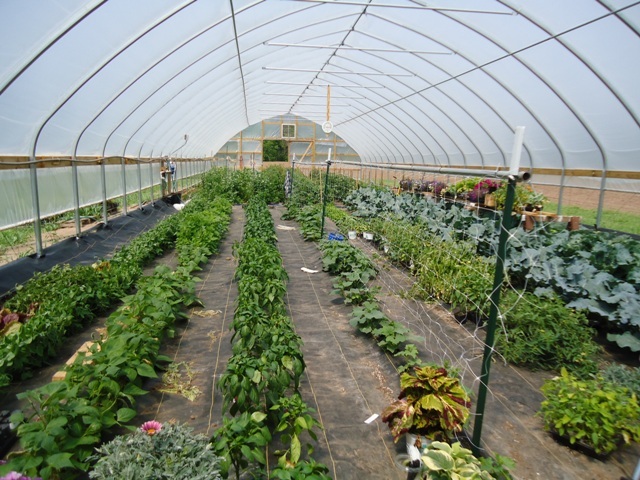 We do plant some of our vegetables from seed. Tomatoes growing in our hoop house. 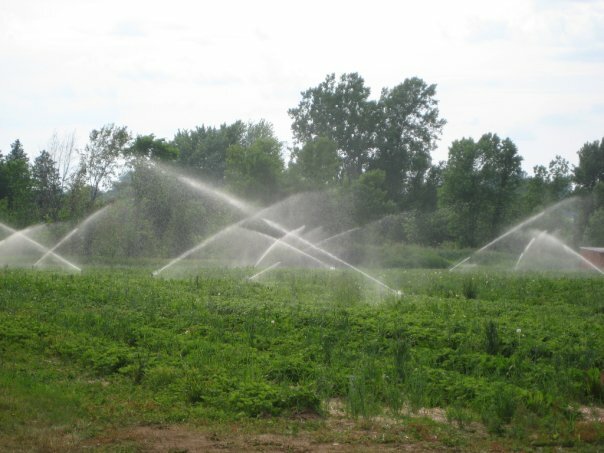 This is frost control with the strawberries. By turning water on before a frost the water freezes on the plant creating ice that serves as an insulator protecting the strawberry blossoms. This is a Reigi Weeder that attaches to the tractor to spin little fingers that remove the weeds as the operator maneuvers the fingers around and between the plants. The modern day hoeing. Each Spring we walk all of our strawberry rows to put straw in the rows for weed prevention, ease for picking, and to keep berries clean. Grandpa our Delivery man delivers fresh berries daily through Door County and Saturday to Sturgeon Bay Market. We grow fresh snow peas and peas in the pod. Best sweet corn in Door County. Picked fresh daily. 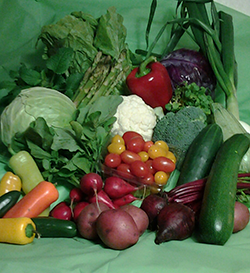 Example of one of our weekly CSA shares.